Get a taste of the South no matter where you are. 1. 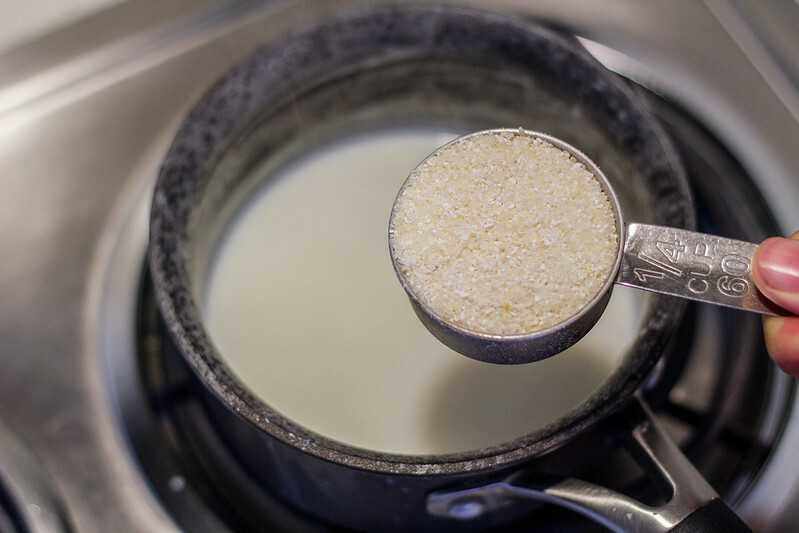 Combine the milk and butter in a saucepan and bring it to a light boil. Add the grits and bring the heat down to a simmer, stirring occasionally. 2. 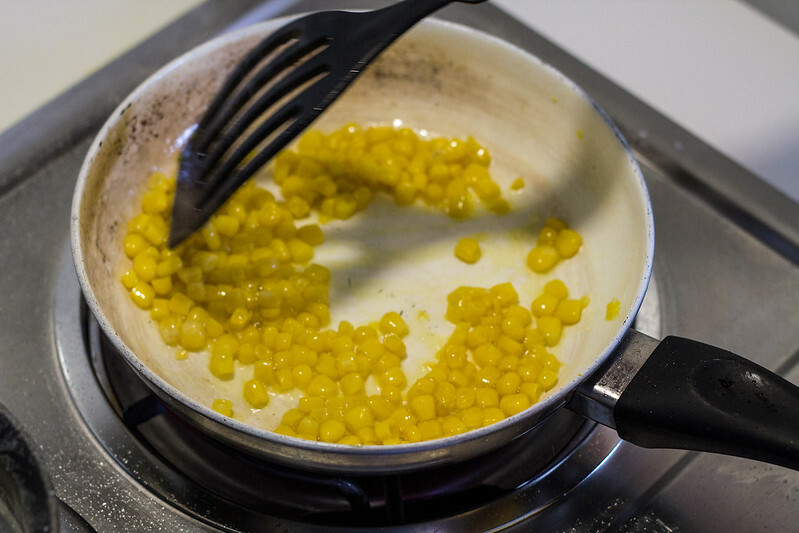 In a separate pan, saute the corn in a little oil until lightly brown. 3. 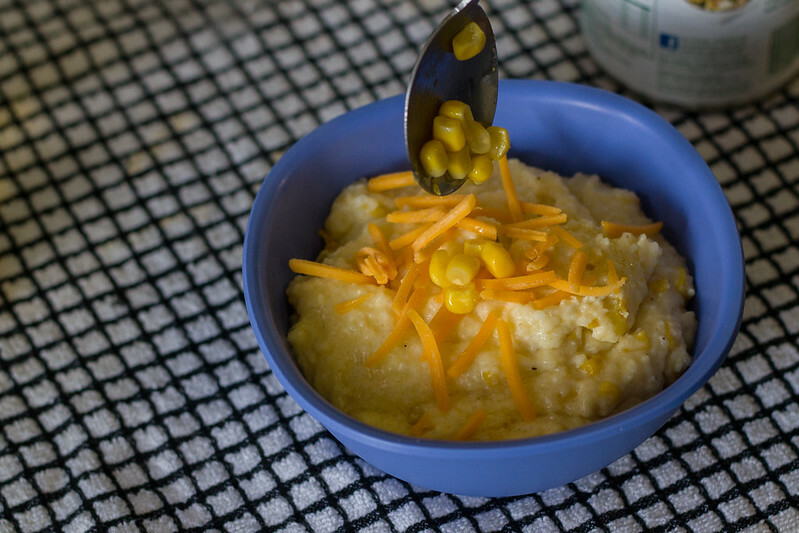 Add the corn and cheese to the grits, and stir until the cheese melts and combines. 4. Cook the grits for 20 minutes, stirring occasionally. 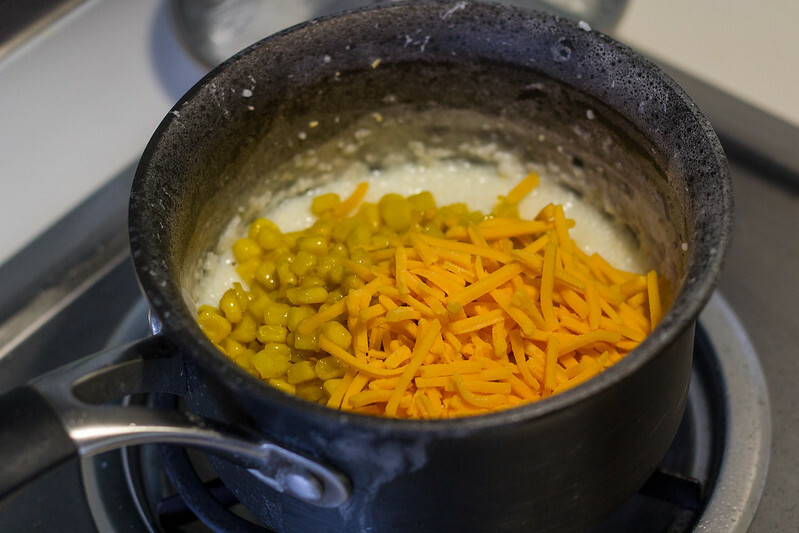 Add salt and pepper to taste, and garnish with a little sprinkle of corn and cheese if you are feeling extra fancy. In step 2, sauté two slices of bacon in a pan. Remove from the pan and dry on a paper towel. Cook the corn in the leftover bacon grease for extra flavor. Crumble the bacon and top your grits with it at the end of step 4.